Zubin Atré applies 8,000+ hours of yoga teaching experience to design a unique method which does not follow any one particular form of yoga or any levels. “Rather than making your body fit into an asana, I put the asana into your body”, he says. His classes are designed and customized taking in consideration the needs of his students. His extensive and deep understanding of the human anatomy and biomechanics helps him approach asanas with uncut precision, detail, and effective application. Zubin’s clientele includes noted sportspersons like Abhinav Bindra and top Athletes ranging from Golfers to Scuba-drivers. He is often found giving talks in corporate settings and has worked with UNICEF, Airtel, Penguin, Rotary International, the German Embassy School, UNODC, and many others. Zubin has also been featured on major channels like NDTV and Discovery India, and in publications like Mail Today, Star News, Hindustan Times, The Telegraph, The Times of India, and TimeOut Delhi. He regularly writes a column for The Outdoor Journal. Currently residing in New Delhi, Zubin’s AtréYoga Studio hosts some enthralling workshops like “Yoga on Keys” which combines yoga postures with piano notes and they are always up for sharing interesting insights with creative special classes. Zubin comes from a business and a science background but his love for yoga transmuted itself into Atré Yoga Studio over a decade ago. When not teaching or practicing yoga, Zubin loves to spend time with family, write, travel, ride his motorcycle, and watch wacky YouTube videos. He is quite a fashion icon too with dapper lexicon. Amrit Nam Kaur (Gunjan Kochhar) is a yoga expert with a decade of experience in the field. She has been passionately practicing and teaching several different styles of yoga at her studio and has taken workshops in Chandigarh, Mumbai, Hong Kong, Goa etc. Her style is unique as she blends the stretches from Traditional Hatha yoga and kriyas from Kundalini yoga to achieve an overall equilibrium of the mind, body and soul. Her mentor and guru is the world renowned Kundalini yoga teacher, Gurmukh Kaur Khalsa and she has also attended workshops with leading teachers, such as Srivatsa Ramaswami of the Krishnmacharya Vinyasa Yoga Lineage. Besides this she also holds the distinction of training under various yoga schools and forms from around the world. She is an adept Access Bars facilitator which is a science of transformation that offers pragmatic tools to change people’s lives. 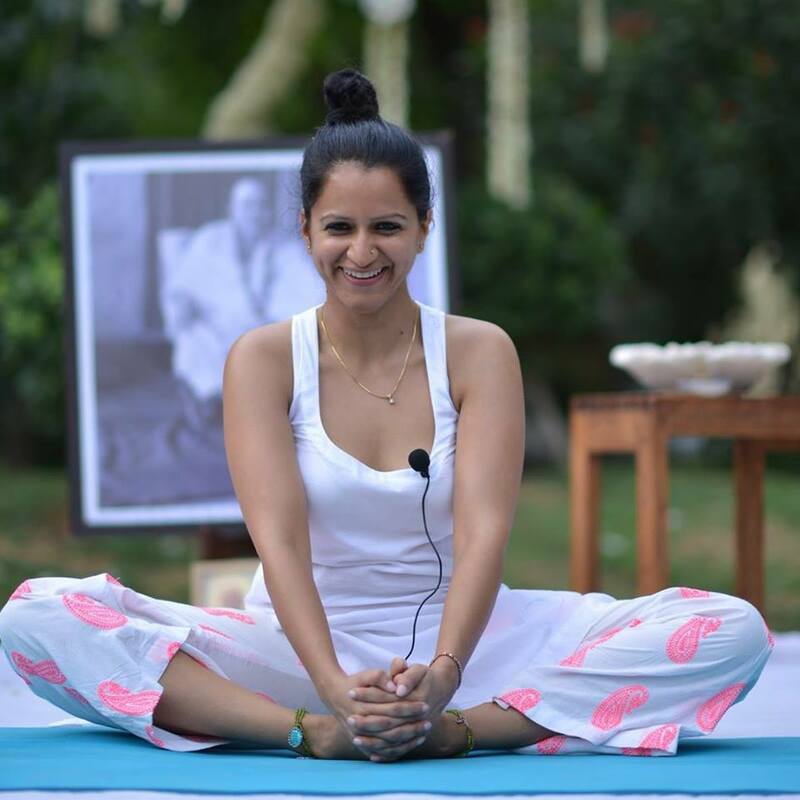 She combines her yogic approach with different sets of techniques from the Access Bars discipline and provides a holistic, healing alternative form of therapy in her sessions. She conducts various workshops and hosts an array of yoga retreats in different parts of the country. She also offers prenatal yoga, Kids yoga, Angamardana – strengthening series by School of Isha yoga foundation and Kundalini Yoga at her own beautiful studio. Amrit has been featured in Fit Rahe India NDTV and has successfully contributed columns for various major publications. She has been offering a yoga pose a day on her page for all those who are seeking well-being from the comfort of their houses, something you must definitely check out. P.S. On a personal note she is my favorite, have been lucky to experience her aura and breath-taking classes. Kundalini Yoga with Access Bars, Healing Therapies, Chants and Spirituality. A-2 Naraina vihar, Ring Road, New Delhi -110028, India. Apurvaa began her journey towards yoga at the tender age of 9 when she got inspired by her mother practicing yoga. A professional Jazz dancer found her way in Yoga at the age of 22, her daily yoga practice turned into devotion and she proceeded to learn Hatha yoga professionally in 2010 from Masters like Yogaguru Mohan and Yogaguru Shailendra, founders of a renowned Yoga school, The Yoga Guru Academy. After that she has been taking personal and group power yoga sessions on her own. She evolved her beautiful practice of Flow Hatha Yoga where she combined beautiful dance movements with yoga techniques. In 2013, she founded her own fitness center and got certified training in aerobics, step aerobics and body conditioning under the label of Reebok fitness. She has also learned Pilates Mat level by Anupama Gopal (India’s Only Master trainer for Pilates) and became a licensed Zumba fitness instructor as well. She teaches all the fitness programs at her fitness center, however Yoga is her forte. 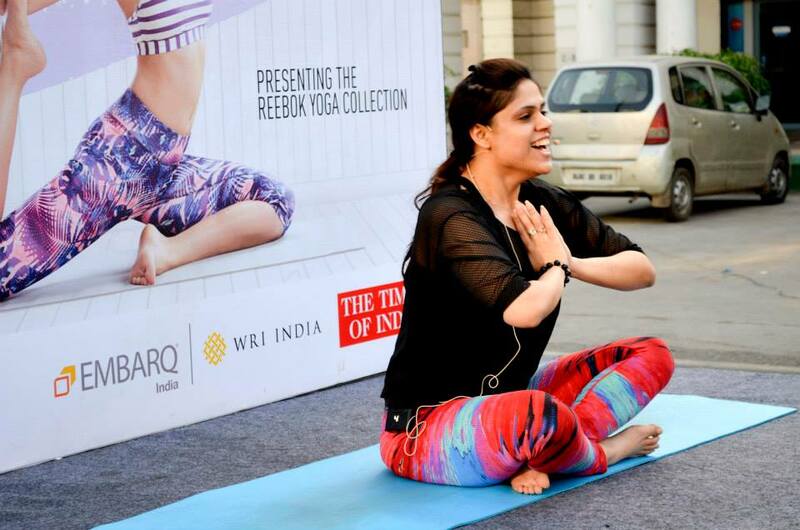 She excels at teaching Power Yoga, Flow Hatha yoga, Life Transformational Yoga and guided meditations, she has been an active member of Reebok Delhi core team for Raahgiri and has conducted Yoga sessions on behalf of Reebok as their ambassador from the period of July 2014 to April 2015. She regularly conducts yoga sessions for international clients on behalf of a renowned tour company as well. She is an ambassador of Yoga Alliance International and is running an extension branch of the Renowned school Sri Ma School Of Transformational Yoga in North West Delhi. Apurvaa successfully hosted a special Yoga event on 21st June, International Day of Yoga for about 100 people in Delhi and a special Yoga session for an NGO. Flow Yoga with dance movements and spiritual inclination. Flow yoga on ambient trance music on 12th September at Workhouse fitness studio GK at 8am in the morning. A former state level athlete during her school and college years, Mehak Puri’s training started initially as an advice from her school sports teachers to cure Polio in her right leg and the right side of the body. But this turned into a blessing for her and she eventually became one of the fastest sprinters after many years of patience and rigorous hard work. In 2008, she suffered from various health and stress related issues, due to her demanding nature of professional life in the fashion industry, which is when she turned to yoga, and under the guidance of her teacher and mentor, naturally grew in her practice both physically and spiritually. She eventually got certified as an advanced yoga teacher from the Sivananda Ashram, Kerala. Apart from teaching yoga, she is also a Karmic healer from the Prerna School of Inspiration in Delhi, using psycho-spiritual mind modalities to empower her clients. She presently teaches groups and individuals of all age groups; corporate companies such as Harley Davidson, Dabur, Rate Gain, Microsoft etc and at festivals such as India Surf Festival in Puri; where she not only shares yoga but also uses her knowledge of cardio and strength training to make the fitness routine more harmonious for her clients. She also specializes in teaching fitness routines and yoga to children, building a strong foundation for these young sportsmen. She is a passionate traveler as well and explores places not discovered by many. As a result of which she started Yellow Butterfly Yoga Holidays, an approach towards life that transforms one at many levels. She also continues to work as a Fashion consultant with brands and fashion magazines such as Vogue, Harper’s Bazaar & Grazia to produce their shoots, building brands and doing PR activities. She helps people in leading a healthy life with ease – with no super human efforts needed. Therefore she believes in creating a harmony amongst various activities like yoga, resistance training, outdoor sports, and athletic activities along with meditations to seek mental and physical fitness – all designed to meet your individual requirements. Vikram S. Malik is a highly experienced professional in the field of yoga. He has done his graduation and post graduation in Yoga from Gurukul Kangri Vishwavidyalaya (GKV) and he is currently pursuing his Ph.D in Yoga Science from same. He understands the basics, the anatomy and the science of this ancient technology and uses the same age old wisdom and techniques in his classes with modern practices and a fun filled approach. He is a well-established and a grounded teacher who is right now teaching at Rasayana – Yoga & Fitness studio located in South Delhi which is one of the top ten yoga studios in the city with warm ambiance, nature loving atmosphere and free-spirited essence. He is also taking sessions in Hotel Hyatt Regency, US Embassy and has over 15 years of experience! He is also an International Gold Medalist (under the guidance of Acharya HP Shastri). His vast experience in yoga training makes him stand out humbly. One of his specialties is that his students never leave his classes and are always coming back for more! Strong workout with fun and extremely good results! Hope you liked the post, feel free to leave your valuable comments below 🙂 Love hearing from you! Interesting article on Yoga teachers. am a yoga instructor too and would like to be a part of this blog in future. let me know when we can meet to discuss.